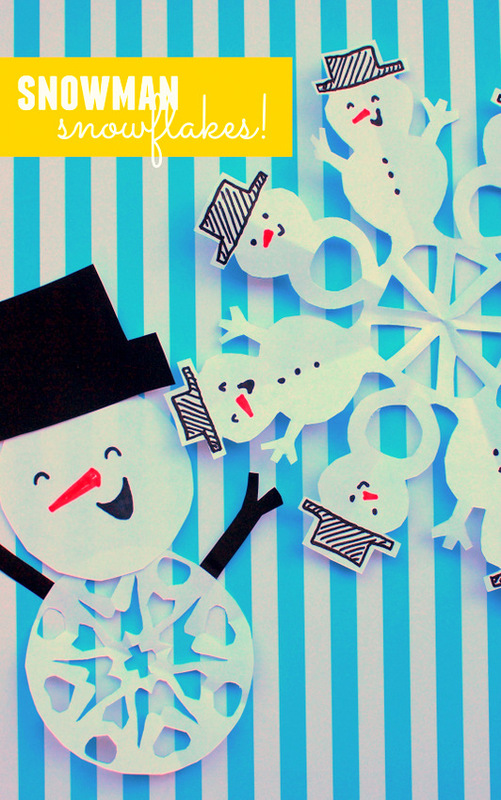 These snowman snowflakes were inspired by my constant search for easy origami, kirigami, and paper cutting crafts. First, I cut out 2 circles, one slightly larger than the other. The larger circle became the body and the smaller circle became the head. I folded the larger circle in half, then in half again, and then in half again. Then, I cut out a snowflake design. I drew a face on my smaller circle. Then, I cut out a hat and arms from origami paper and taped everything together. Bam. 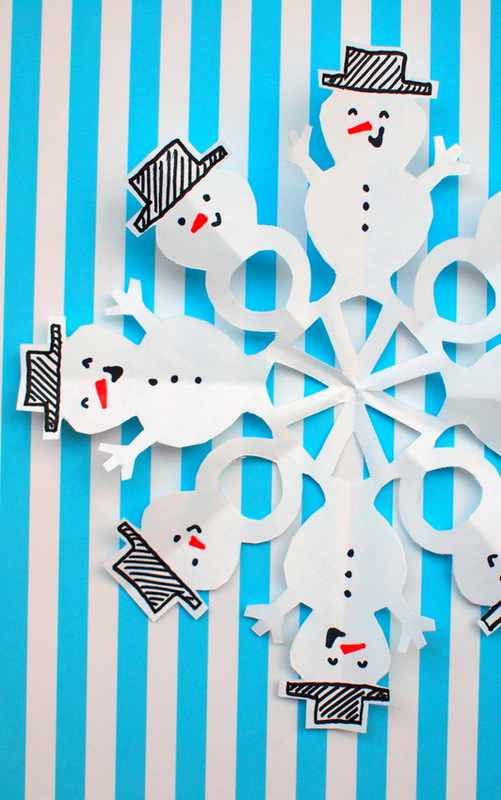 Now you have a fun and new way to showcase all your snowflake cutting skills! Ok. This one is a bit more complex... but it's still definitely doable with a pair of sharp scissors! Then, I opened it up and used markers to add the details. Ok. I hope you have fun cutting out your own snowmen with the kiddos. 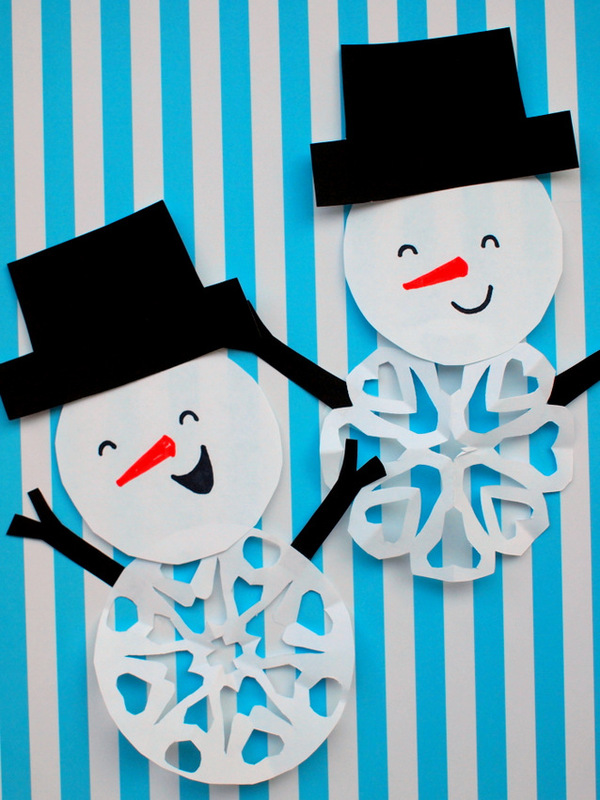 Then check out these other kid-craft-loving bloggers' crafts!